“Oh my God”, “For God’s Sake”, “Swear to God” are phrases used by Christians and non-Christians alike. They flow off the tongue without hesitation, but should they? 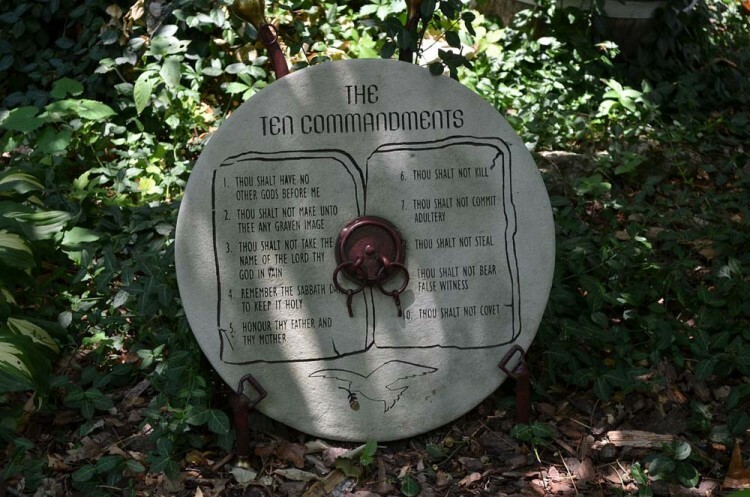 The Ten Commandments are the most fundamental of laws, ranging from don’t steal to don’t murder. In this cluster of valuable commandments “Thou shalt not use God’s name in vain” is listed third. Yet, it has been tossed to the side over the years. It may seem trivial to some, but in essence, it’s lowering the name of God to a filler word. Eeks! Love is the catalyst of the Christian faith, no longer tied to condemnation; we are freed to love God without guilt or shame. “Though our sins are as scarlet they shall be as white as snow. (Is. 1:18)” This agape love is sealed by the blood of Christ on the cross, as He points to you and me, and says you are worth it. God has given you a free pass to love and be loved. Your past does not define your future. There is forgiveness. So lets live as though we are free.